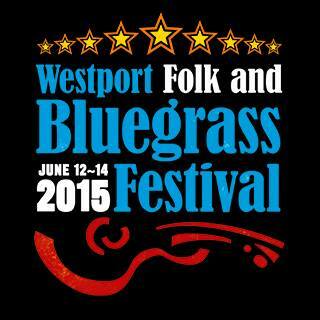 Westport Folk and Bluegrass Festival is a not-for-profit event run entirely by a voluntary committee. Like the previous editions, the 9th Festival will be a high-quality, multiple-venue, open and inclusive event in Westport. With more than 20 events over three days, the Festival attracts local, national and international artists and audiences. The nature and ethos of the event is very important. The Committee fosters an accessible, warm, open atmosphere where everyone – all generations, cultures and walks of life, locals and visitors – feel included and have fun. The audience profile is comprised of everyone from seasoned folk and bluegrass ‘buffs’ to casual music fans. For the 2014 Festival they brought a total of 46 artists across 13 groups to perform at 17 events in three days. They were from Ireland, Northern Ireland, England, Wales, the Netherlands, Germany, the USA and Australia. A large number of other musicians played with them at sessions and jams and at a Masterclass. The Westport Folk and Bluegrass Festival committee includes Sarah Mac Evilly, Tim Rogers, Uri Kohen, Cllr Michael McLaughlin, last Cathaoirleach of Westport Town Council, Ciara Moynihan and Fergus Kelly, pictured outside McGing’s pub, the year-round home of bluegrass and folk in Westport. established 1991, will be a 3-days of non stop un-diluted bluegrass music. Proudly supported by Kildare County Council and the Athy Town Promoters Group, "Athy In July" will be a fantastic weekend of concerts and pickin' sessions for bluegrass music, its musicians and fans. The Athy GAA Centre will host 4 Wheel Drive from Holland, Patuxent Partners, from USA, and the Irish Woodbine. On Saturday there will be the Absent Friends Concert, to remember all the festival friends who have passed on over the past 25 years, featuring The Plough from Australia and MTC. For further info: http://www.athy-bluegrass.com/index.html, e-mail obrientony@eircom.net or call +353 085 1656685. 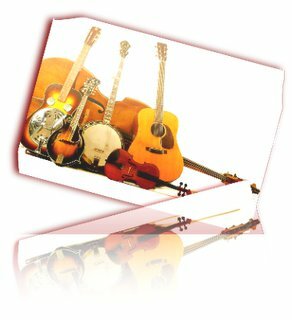 Bring your banjo, mandolin or any other musical instrument and join in the fun! Enjoy the atmosphere which is always lively and upbeat, along with the music and the craic. The Foghorn Stringband return to Europe!